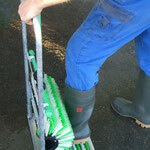 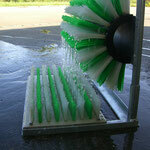 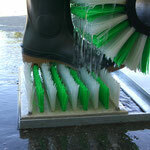 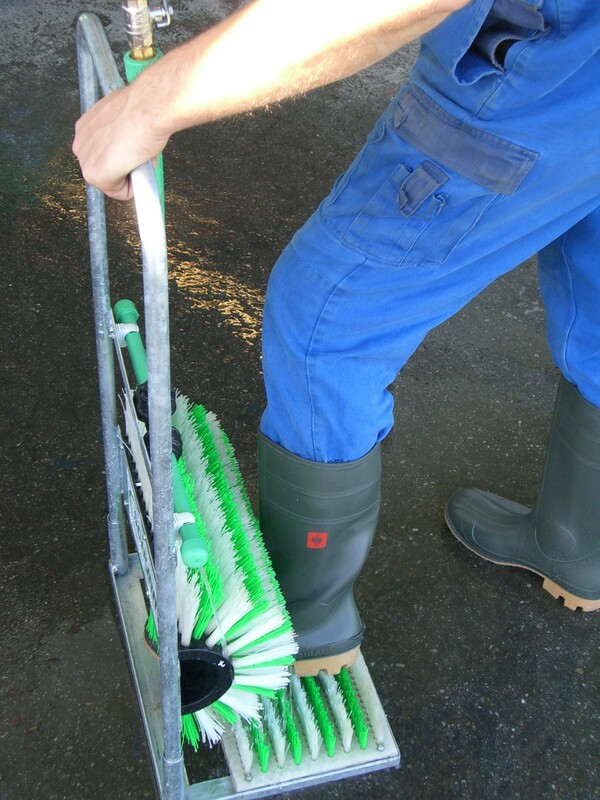 Our SCHURR boot cleaner is designed for a simple and effective boot cleaning on your farm. 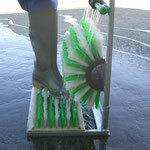 Two brushes allow a manual, selective cleaning of the soles, sides, heels and insteps. 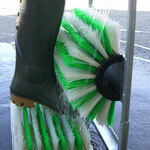 The vertical brush is semicircular to brush all round parts of your boots. 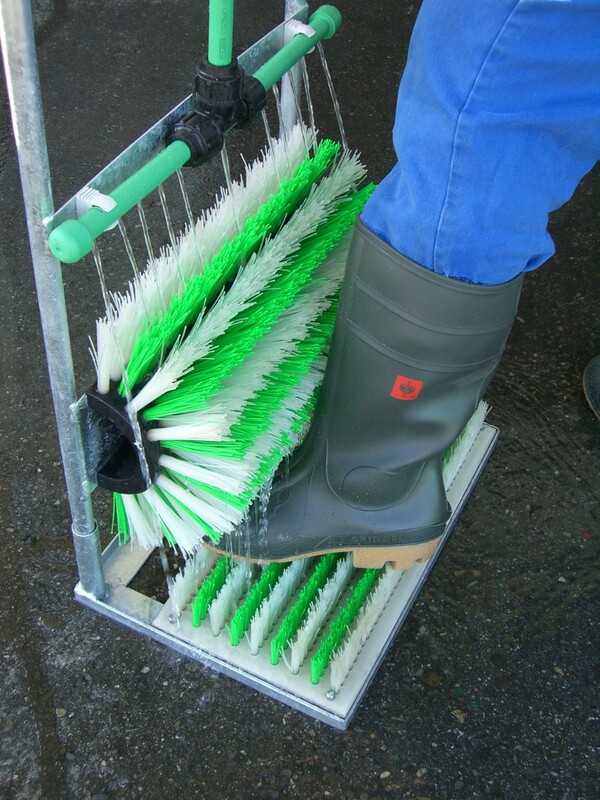 For more thoroughness connect the SCHURR boot cleaner to the water connection! 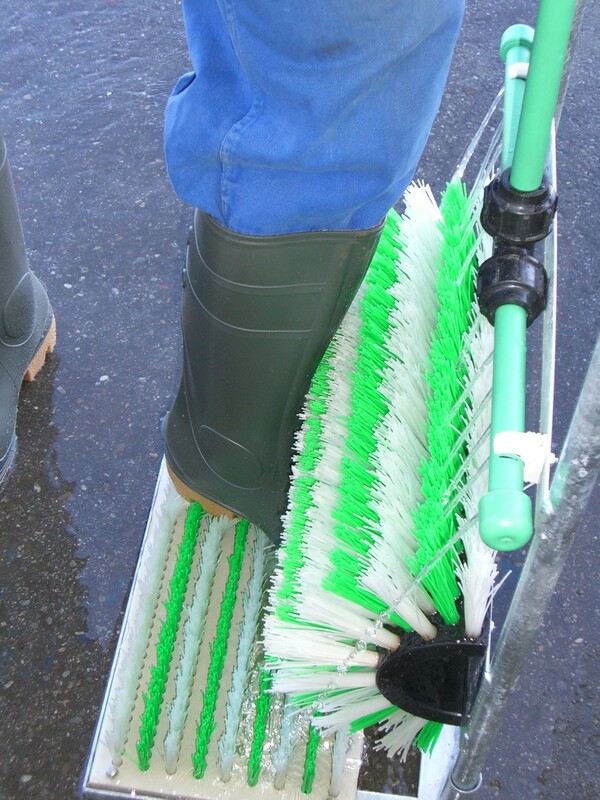 Therefore a ½” clutch is mounted. 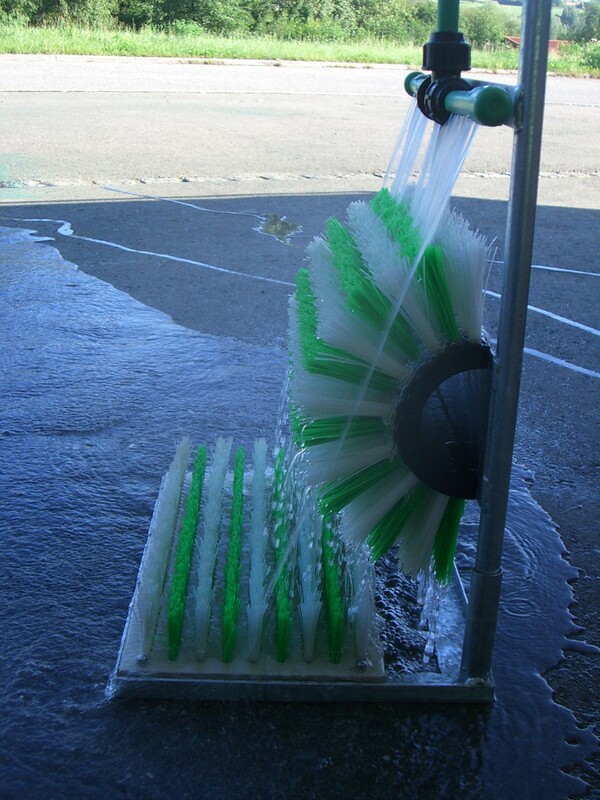 The water quantity can be adjusted by a closing valve. 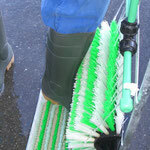 All brushes are screwed – so the parts can be removed very easily. 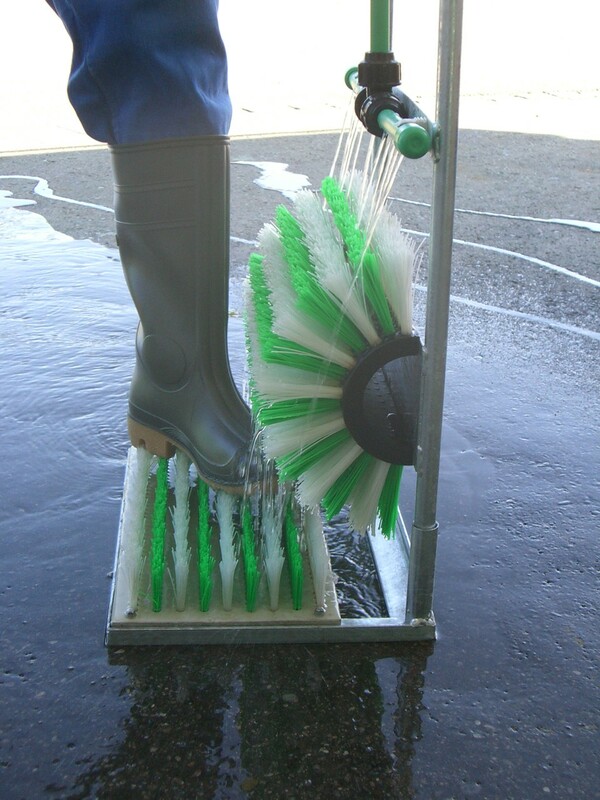 The floor unit can be cleaned separately. 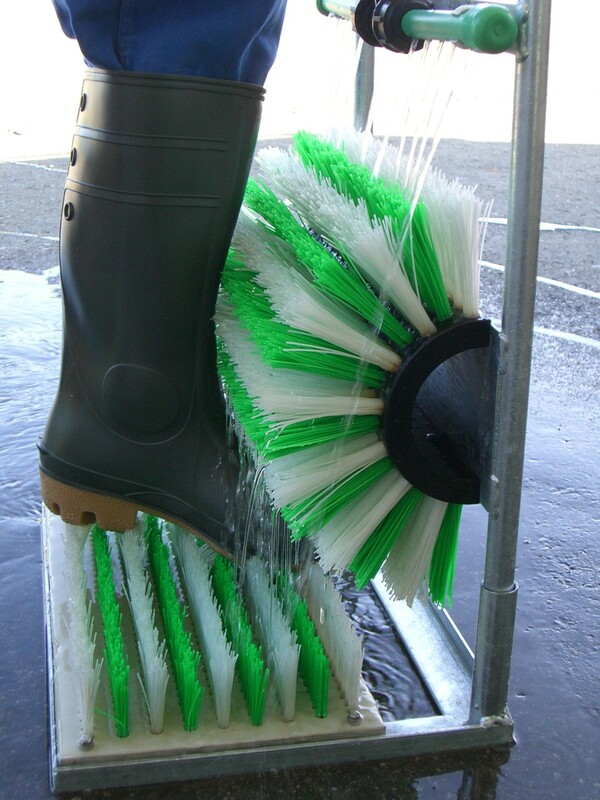 During the cleaning process of your boots you can hold yourself at the mounting. 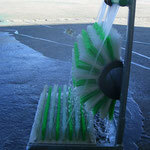 This guaranteed a saver stand. 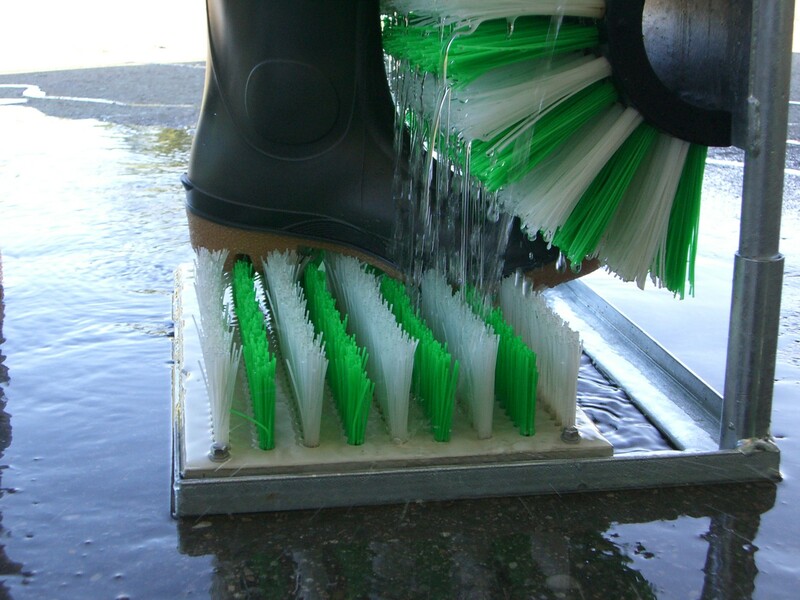 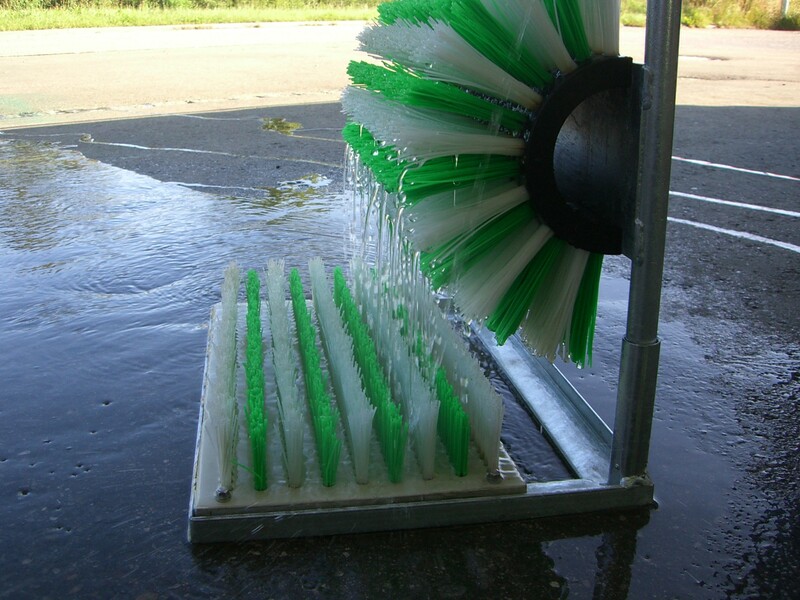 Bristles of the floor unit have different lengths for optimal cleaning of the soles profile. 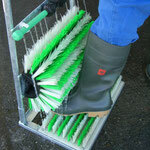 Find below some impressions of our boot cleaner.